There were 675 press releases posted in the last 24 hours and 154,040 in the last 365 days. GAOYAO, GUANGDONG PROVINCE, CHINA, July 4, 2018 /EINPresswire.com/ -- During the World Cup, iLanyards has been selling more of their sports lanyards. These have been bought by football fans as well as tourist guides who offer the lanyards to their tourist groups. As a leading Chinese lanyard manufacturer, iLanyards is happy to share some details about these sports lanyards. All of the lanyards are produced at iLanyard’s own factory. This is a state-of-the-art and well-managed space of 1500 square meters big. Thirty well-trained professionals work at this modern workshop. The materials used for the lanyards are all eco-friendly. Dye sublimation process is used for coloring the lanyards. This gives the cords a softer finish, making the product more comfortable. The finished product is a beautiful and practical lanyard. The lack of middlemen has always resulted in shorter delivery times. Lanyards are taken straight from the iLanyards factory to the customer, whether business or consumer. This streamlined and efficient delivery system has served the company well even in times of higher demand such as during the World Cup. The spokesperson Jae added, “We don’t let the quality of our product detract us from the quality of service. 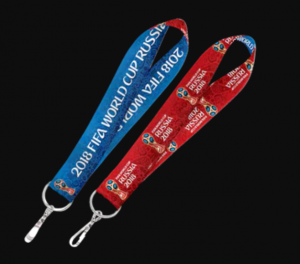 For the World Cup, we have been shipping more of our special sports lanyards. From large orders to smaller personalized ones, our product and delivery solution has measured up”. Recently, more club, school, and the company to be got their hands on quality sports lanyards for a competitive price from the leading Chinese lanyards factory iLanyards. iLanyards supplies quality lanyards to over 300 clients globally. By capitalizing on this major sporting event, the company has shown how it continues to think about the needs of its consumers. iLanyards factory business including sports lanyards wholesale and custom lanyards, free setup fee, lanyards small quantity order, short lead-time. 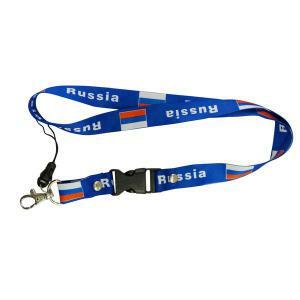 iLanyards webbing products factory is the leading lanyard manufacturer for OEM businesses. 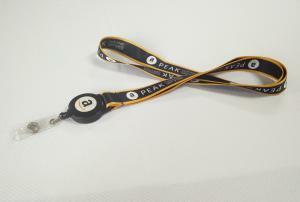 Since 2009, the company has invested new machine every year, producing a wide range of lanyards. They include screen printed lanyards, dye sublimation lanyards, woven lanyards, luggage straps, with the recent product being the iLanyards Camera Straps.